Editor’s note: On Nov. 6, 2018, Golden voters rejected the measure to give teens the right to vote on municipal ballot items and local candidates. This article first appeared in the Denver Post and is reposted here with permission. Bella Macarelli regularly discusses the big issues of the day — politics, immigration, gun control — with her classmates at Golden High School. She says her age (she turns 16 in November) shouldn’t preclude her and her friends from bringing those lofty thoughts from the schoolyard to the ballot box. 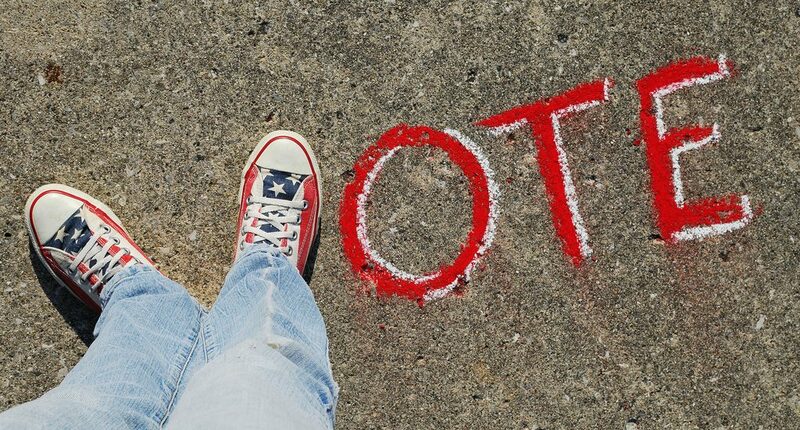 The Golden High sophomore may earn that suffrage on Nov. 6, when voters in the city of 21,000 on the metro area’s west side will be asked whether their elected leaders should move forward with lowering the voting age in Golden from 18 to 16 for local issues and candidates. Golden would be the first community in Colorado to make such a move, although a proposal to lower the voting age to 16 was discussed in Boulder last year as was a bill at the state legislature that would have lowered the age to vote in school board races to 16. The Golden City Council referred the idea to the ballot late last month. Colorado law limits voting to adults 18 and older, but as a home rule city, Golden could lower that age threshold for municipal-only races and ballot issues. People would still need to be at least 18 to hold office in Golden. If the measure passes, the first election that minors would likely be able to vote in would be November 2019. It’s an idea that makes sense to Brian Conroy, principal of Golden High. And do it long term, supporters of lowering the voting age say. “It is clear that age 16 is a better time to establish a new habit than age 18, and data from places that have lowered the voting age shows that 16-year-olds do indeed vote at higher rates than older first-time voters,” claims Vote16USA, a relatively new get-out-the-vote campaign run by the New York-based group Generation Citizen. The group also says youth in a household may prompt their parents, who may have lapsed in their civic duties, to revisit the polling place. Nearly three-quarters of registered voters turned out in the 2016 election in Colorado, but only one in three did so in the 2017 election, according to state election data. The more people participating in the democratic process, the stronger democracy becomes, proponents of a lower voting age argue. A handful of cities in the United States have opened up municipal elections to those 16 and older, starting with Takoma Park, Md., in 2013. Washington, D.C., this year has talked about opening up the ballot — including the selection of a president — to 16- and 17-year-olds. While news reports following the 2013 election in Takoma Park noted that citizens ages 16 and 17 turned out at more than four times the rate of registered voters 18 and up, not everyone is certain lowering the voting age is a good idea. David Davenport, a research fellow at the Hoover Institution, said he doesn’t believe there “is a case” for the change and that minors, who typically don’t pay property taxes and cannot serve on a jury, don’t have enough “skin in the game” to fully participate in the civic process. Teens, he said, tend to get excited about certain hot-button issues — as happened with multiple youth-led rallies that pushed gun control following the killing of 17 students at a Florida high school in February — but don’t necessarily consider the full political landscape that faces voters on a typical ballot. Another leading argument against a lower voting age touches on the idea that the teenage brain is still maturing and that young people are more susceptible to what social psychologists term “hot cognition,” where choices are made more rashly and emotionally and are more influenced by hormones and peer pressure. But supporters of the lower threshold point out that “cold cognition” — the mature, analytical mind-set less influenced by impulse — is fully developed by age 16. It’s just a matter of accessing it. Macarelli, the sophomore, said high school is the perfect environment in which to immerse oneself in slow and thoughtful deliberation about the big issues of the day. It’s an environment, she said, that often eludes the people who have earned the right to vote simply by virtue of their age. “I think a lot of teenagers like myself are more involved in these issues than a lot of adults,” she said. Photo Credit: The lead image used is from www.flickr.com/photos/theresasthompson/. I believe youth voters may wish to be involved, but their life experiences are limited. They do not pay taxes, own a home, drive, buy groceries, make a living to provide for themselves and their families. Their scope is small, and there are concerns that their numbers may tilt votes for elected officials who may not have ALL voters best interests at heart. After elections, a student goes back to school, while an adult must live with the aftermath of the choices made by youth voters.